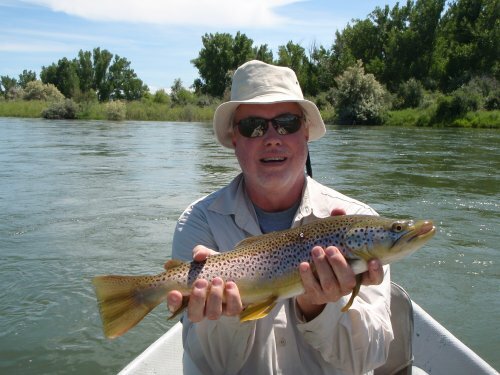 June Fishing on the Big Horn River – Fishing is HOT HOT HOT! June has been fantastic fishing! Water is warming up. Hoppers are on the way! Flows are 10,000 CFS. Water temp is around 50 degrees. Fishing is RED HOT! Come visit! Hoppers are on the way. Ryan Stefak was an outstanding young man and GREAT guide! Sherri was a highlight as she is an excellent Chef! 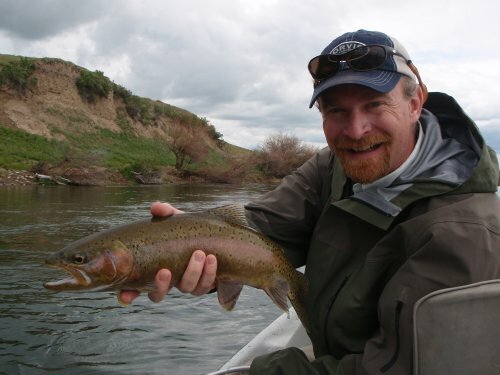 The fly fishing, the guide, and John and Rebecca Shirley as hosts are the Best we’ve experienced any where! Posted in Reports & News | Comments Off on A great group of guys! 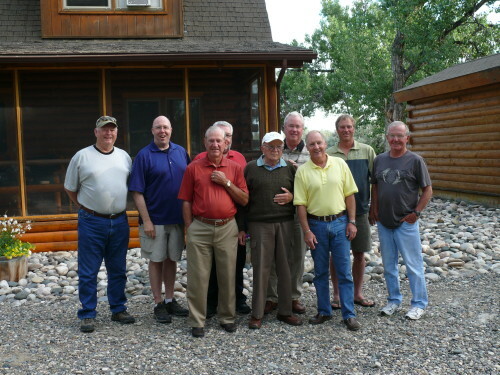 This place is easily the Lodge of the Year! 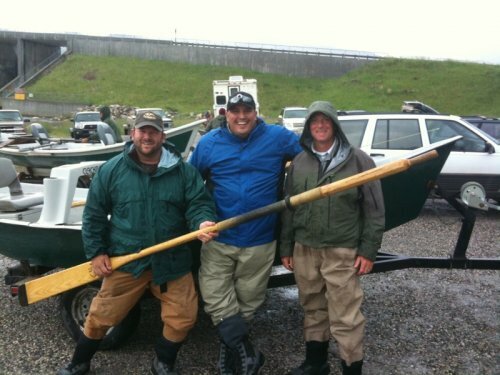 A little rainy, but great fishing. 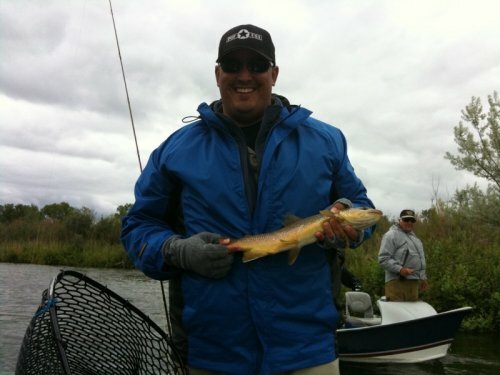 Posted in Reports & News | Comments Off on A little rainy, but great fishing. 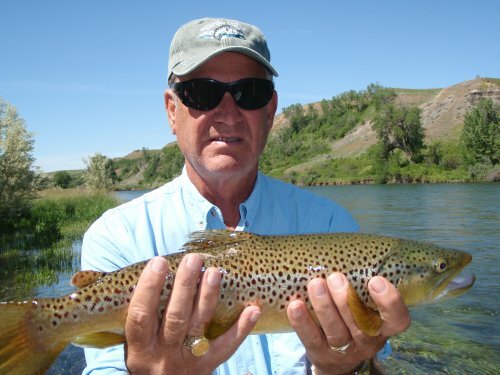 Flows should remain steady at 9,500 cfs through the week. Fishing has been good on the upper 13 miles. Water clarity is very good. With the high flows, wading is pretty much out of the question. 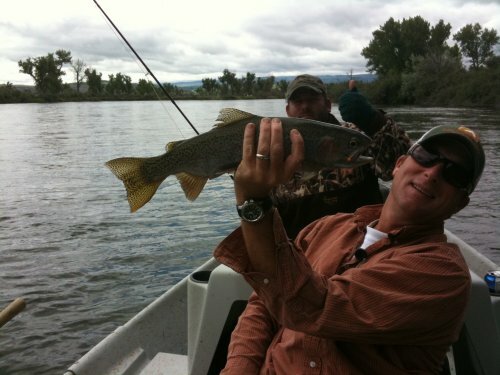 Worm patterns are doing very well, in the wire variation as well as the San Juans. Use sizes 2 or 4 in red, orange, and two tones. Sow bugs have been working very well as a trailing fly. 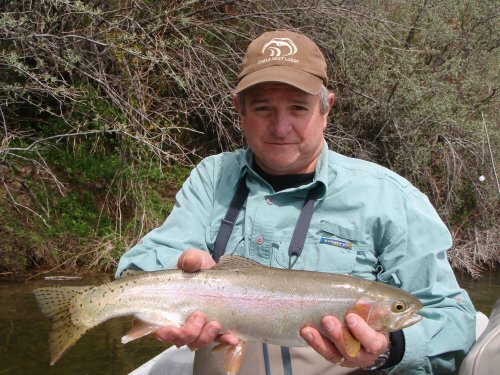 Use Firebead sowbugs or Steve’s sowbug in sizes 16 and 18. Some midge patterns will probably still be working as well, such as rootbeer or zebra midges in 16 and 18s. Don’t forget your split shot, you’ll need it. 2 or 3 BBs or a single 3/0 should suffice. 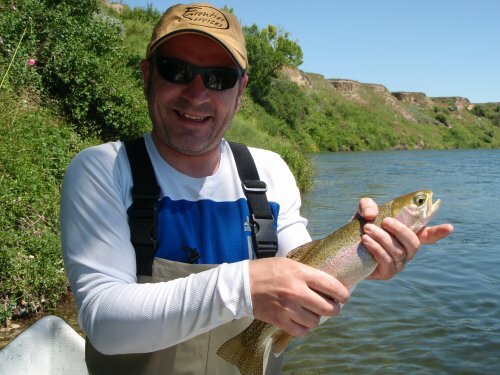 May Fishing on the Bighorn River.